This page is for the original version developed by Sunspire Studios. 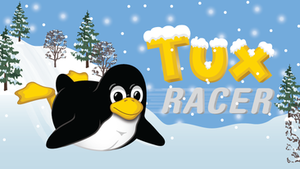 For the updated open open-source version, see Extreme Tux Racer. Modify set x_resolution and set y_resolution lines in config file. Modify set fov line in config file. Set set fullscreen in config file to false. Volume can be adjusted by changing set sound_volume and set music_volume lines in config file. This page was last edited on 8 April 2019, at 04:41.